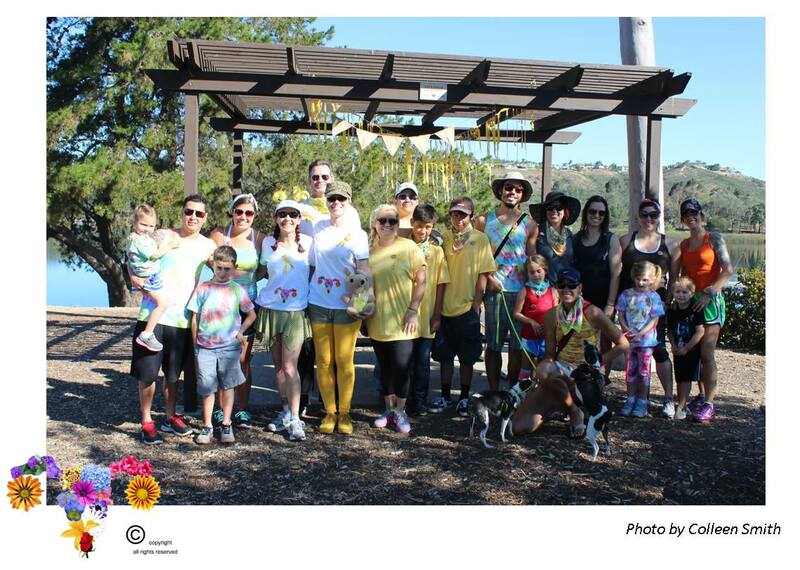 This past Saturday, March 28, 2015, was our little Endometriosis Awareness Walk around Lake Miramar in San Diego, CA! This was not affiliated or associated with any organization’s event: just a bunch of EndoSisters, friends, and their support coming together! If you’d like to see all of the pictures, you can click here. We had 20 attendees! 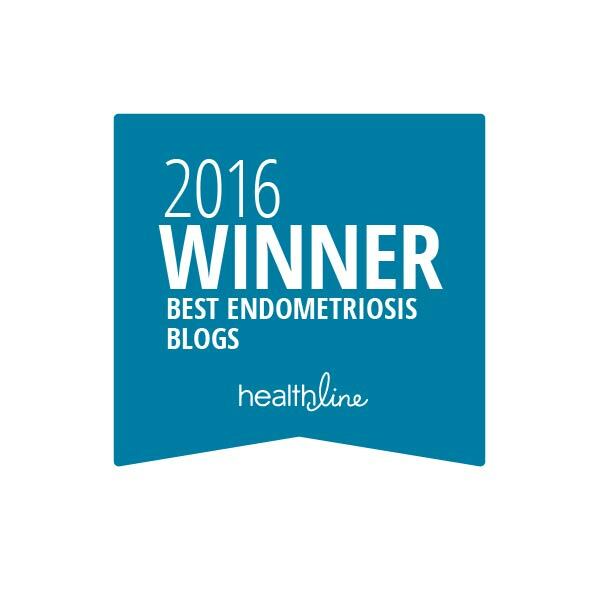 Three of us actually suffer from Endometriosis; the rest of the attendees were family, boyfriends, husbands, and friends. The sheer support that was present was overwhelming! Everyone, including the wee kids, made the 5-mile walk around the shorelines. Some of us were stopped along the way and asked why we were all wearing tie-dye or yellow and what the walk was all about. We did it. We did this…together. Many other EndoSisters had RSVP’d, but unfortunately had to cancel due to EndoFlareups, illness, work, or school. But they were all thought of while we walked and were there in spirit. We gathered at the lake around 9:00am and after a group photo and little “thank you” speech, began our walk at 9:30am. The 4.92 mile walk took about 2 hours to complete. Time went by quickly with conversation, good company, and beautiful weather. Afterward, some of us went out for sushi together, while others joined up with the EndoMarch event at Balboa Park. It was a beautiful way to start the weekend. And lasting friendships were forged. With your help, our 2015 walk raised $1,765 (gofundme.com Bloomin’ Uterus button fundraiser), $16.81 (goodsearch.com), and $70.96 (teespring.com Bloomin’ Uterus t-shirt sales), totaling $1,852.77 for the Endometriosis Foundation of America! I will personally be attempting to raise another $800 for 2016 for the E.F.A. I still have another 77 miles to walk before I’ve finished my pledge and I will continue to walk daily until I do! Words and photographs will never do this day justice. I’m overcome with emotion whenever I think of it. The hugs, the tears, the stories, the high-fives, the laughter, and the support. It was…perfect. 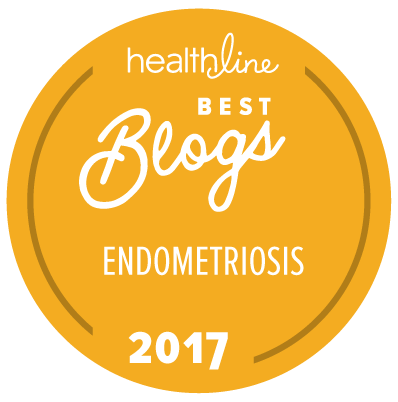 Plans are already underway for the 2016 Bloomin’ Uterus Endometriosis Support Walk (to me it’s all about support and being there for each other; we can raise awareness, too…but the support was the most amazing factor of this walk). If you’re in the San Diego area, save the date: March 26, 2016. It will likely be at Lake Miramar again, but that’s subject to change. Thank you!! It was incredible.